You can’t just jump onto Facebook, set up a Facebook page, and expect the money to start rolling in. A large part of the success (or failure) that a small business will face will come down to the investment of time and resources expended into developing relationships and engaging your customers on this particular platform. The following information will assume that you’ve done the necessary legwork to make Facebook work for you, and as such will show you how you can augment the great relationships you’ve built when it’s time to monetize these connections at your organization. The first type of Facebook commerce is the Facebook-Facilitated On-Site Selling Method. With this method, a company brings an element of Facebook (usually the Like Box or Button) to their company website through social plugins. 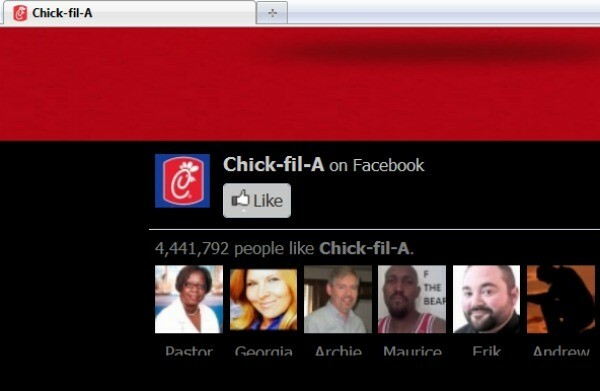 You may have noticed this if you’ve ever been logged into your Facebook account and visited a website like Chick-Fil-A.com. If you scroll down to the bottom of the website, you’ll see an integrated LIKE button, the number of people on Facebook who liked the brand, as well as a number of the Facebook friends I’m connected to that also clicked the LIKE button. The idea here, is if you’re on a company’s site, and can see what your friends think about them, you’ll be more inclined to shop there.